Sir Kenneth Arthur Dodd, O.B.E. British comedian, singer-songwriter and actor. He was commonly identified by his trademark unruly hair and protruding teeth, his red, white and blue 'tickling stick' and his upbeat greeting of 'How tickled I am!'. He also created the world and characters of the Diddy Men, with 'diddy' being west-Lancastrian slang for small. 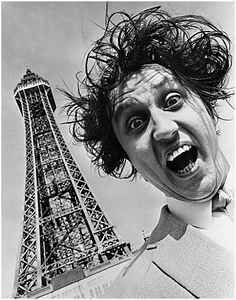 Born: 8th November 1927, in Knotty Ash, Liverpool, Lancashire, England.